Im Duft fruchtgetragen, Brombeer, dunkle Kirsche, Süßmandel, mit Luft Cassis. Erste Entwicklungstendenzen. Weicher, fruchtigmilder Auftakt. Mürb-körniges, leicht mehliges Tannin, das aber von Saft dominiert wird, dezente, aber ziselierte Säure, die Eleganz und Richtung gibt. Trinkanimierend und sehr zugänglich, charmant, der Typ Everybody#s Darling. Viel mineralische Substanz. Trotz der offenen Zugänglichkeit auch hintergündig. Intense aromas of blackberries and currants follow through to a full body, with a gorgeous core of ripe fruit and ultra-fine tannins. It remains fresh and beautiful. So delicious now but better in 2015. A blend of Sangiovese, Merlot and Cabernet Sauvignon. Best wine ever from here. This wine sees fruit sourced from the warm and sunny Maremma area on coastal Tuscany. The 2016 Cabernet Sauvignon shows an inky dark appearance with dark garnet color saturation. It offers a fine and chiseled aromatic profile with dark berry fruit followed by spice, anise seeds and an unmistakable balsamic note that reminds me of eucalyptus oil. This is a mid-weight expression of the grape that is both accessible and easy to drink straight out of the gate. It ages in neutral oak for 12 months. Some 20<(>,<)>000 bottles were made. This is a beautiful rosé with dried orange peel, light wet earth and some watermelon character. Medium body, light phenolic tension and a crisp finish. 100% merlot. Drink now. The 2016 Tre is 80% Sangiovese with 10% Merlot and 10% Cabernet Sauvignon. The combination of those three grapes makes for a well-priced entry-level Tuscan red that would pair nicely with pasta or spicy sausage pizza. This is a soft and simple mid-weight wine with a bright bouquet that is colored with vibrant tones of dark fruit, spice and grilled herb. The quality of the fruit in this classic vintage is what pushes this value wine up to an exciting 90-point threshold. The 2014 Chianti Classico is a beautiful wine with sharp focus and brightness. The wine is loaded with energy and verve. Despite the negative comments you hear about this vintage, this wine demonstrates that hard work and careful fruit selection can make the difference. This base Chianti Classico is composed of 100% Sangiovese.  Brancaia is best known for its excellent results with international grape varieties, but they have no problem making first-rate Sangiovese as well. A bright and lively Chianti Classico with lemon rind and cherry aromas and flavors. Light body. Drink now. Glänzendes Rubin mit feinem Granatschimmer. Sehr intensive und ansprechende Nase. Zeigt Noten nach Brombeere, Waldhimbeere und Zwetschge, im Hintergrund nach Zedernholz. Geschliffen und saftig am Gaumen, zeigt viel Kirschfrucht, entfaltet sich mit feinmaschigem Tannin, salzig. A focused and fresh Chianti Classico with dried cherry and blueberry character, medium body, silky tannins and a bright finish. Delicious energy here. Drink now. Aromas of raspberries, walnuts and crushed hazelnuts. Medium to full body, soft and ripe tannins and a beautiful, clean finish. Drink now. The 2008 Chianti Classico flows from the glass with dark cherries, sweet French oak, new leather and earthiness. This is a rich, bold style of Chianti Classico with tons of fruit especially for the vintage supported by French oak, but everything comes together beautifully in the glass. Readers should not expect much in the way of Sangiovese character (the addition of Merlot seems on the generous side), but it is impossible to find fault with the wine's overall balance and poise. The 2012 Chianti Classico Riserva is gorgeous. Supple and radiant on the palate, the 2012 Chianti Classico Riserva offers striking delineation and plenty of class. Freshly cut flowers, bright red-fleshed fruit and a touch of French oak blossom nicely in the glass. The inclusion of Merlot gives the Riserva lovely mid-palate pliancy and depth. This is a terrific wine for the year. The flower and blueberry character on the nose and palate are impressive. Full body, silky tannins and a fresh finish. Drink or hold. The 2013 Chianti Classico Riserva hits all the high notes expected of this historic denomination. The wine is brimming with cherry fruit and luscious darkness with spice, leather and unsweetened chocolate. The blend is 80% Sangiovese and 20% Merlot, and the wine is aged in medium toast barrique (both new and neutral) for 16 months. Like the other successful interpretations from this classic vintage, this expression reveals an impressive sense of balance. If I had to make a 2013 Chianti Classico short list, this wine would be on it. Bright and lightly austere with a dried mushroom and blackberry character throughout. Medium to full body, fine tannins and a fresh finish. Silky texture. Drink now or hold. Shows plenty of berry and chocolate character on the nose and palate. Medium body, soft tannins and a flavorful finish. One of the better 2014 Chianti Classicos. Drink now.